following a backlash against the platform over its live-streaming service which was used by the Christchurch attacker. 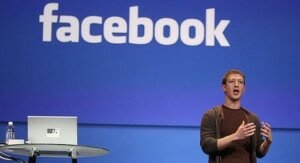 However, Watts told AdNews Zuckerberg’s calls should be seen as “disingenuous”. “Zuckerberg can’t be taken at face value, he knows it’s [Facebook] getting regulated and he’s trying to get ahead of the agenda to protect its business model at all costs,” Watts says. Facebook is likely to face new laws around the globe. In Australia, Prime Minister Scott Morrison vowed to introduce legislation to control tech giants, while in the US Zuckerberg was called before the senate last year over data privacy concerns. New Zealand Prime Minister Jacinda Ardern has also signalled tougher laws. Watts says the significant take away from Zuckerberg’s latest admission that it needs to do better is that he’s accepted algorithms can’t solve all of Facebook’s problems. However, Zuckerberg’s call for a “globally harmonised framework” around privacy and data protection does little to address the company’s problem around accountability. “The interesting thing here is he says ‘framework’ not law,” Watts says. Watts also questions how effective Zuckerberg’s call for a third-party body to review harmful content would be, saying it could be another attempt at offloading responsibility. One measure that could properly address the issue, Watts says, is to ban live-feeds. “If you’re doing a live-to-air, there are a whole range of protections that have to go in place. So maybe Facebook can’t live-stream -- that’s one of the answers,” Watts says. Watts also added that there needs to be a review of all the ways big tech damages society, from elections, harmful content, competition and data protection. “We need a holistic view of how to go about regulating,” Watts says. Mark Zuckerberg’s request for governments to play a more active role in regulating Facebook should be seen as an attempt to control inevitable regulation to protect the social media giant, rather than the public, says professor of information law and policy at La Trobe University, David Watts. Two of the company’s top bosses, Zuckerberg and COO Sheryl Sandberg have in the past few days penned letters accepting the company needs to be better controlled following a backlash against the platform over its live-streaming service which was used by the Christchurch attacker.